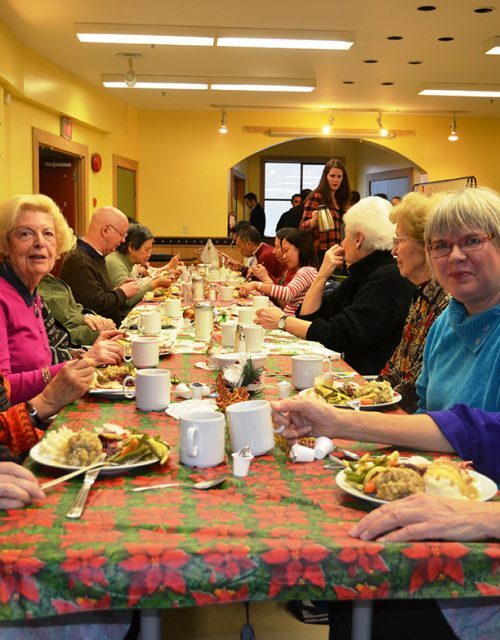 Gordon Neighbourhood House (GNH) is a non-profit organization located in the heart of Vancouver’s West End that has served as a community hub since 1942. 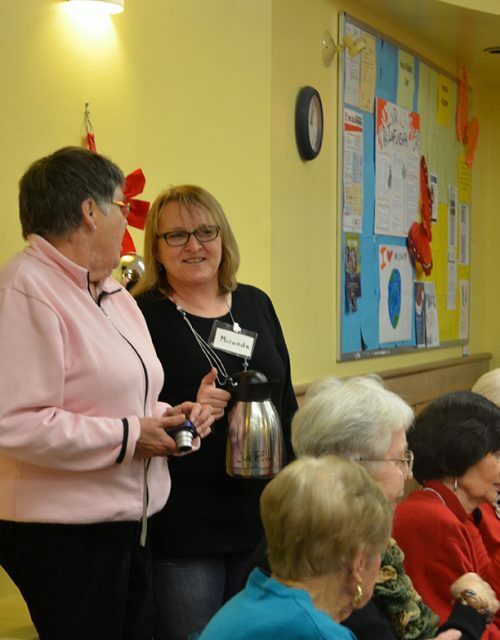 GNH offers a wide range of services and programs to people in the surrounding community, including legal advice, StayFit After 50 classes, language services, senior, family and youth programs and much more. 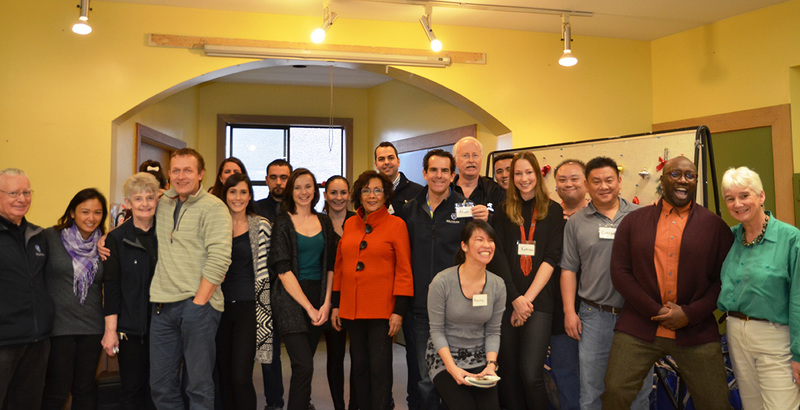 Hollyburn began a partnership with GNH last summer. 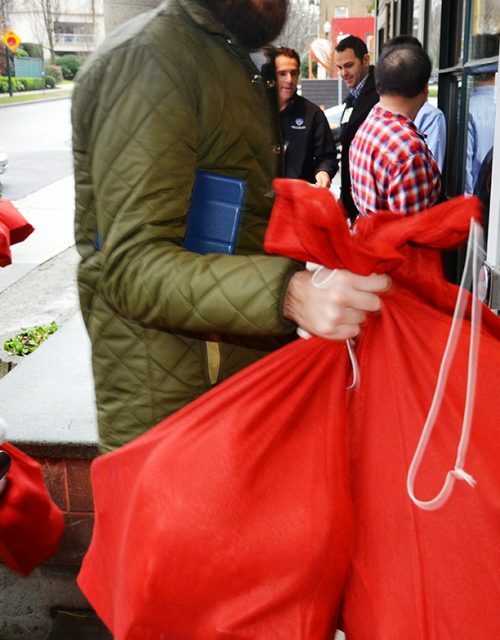 We provide community garden space at Crystal Court, an apartment building in downtown Vancouver, while our expert landscaping team built six 3.5ft by 12ft raised wooden garden containers. 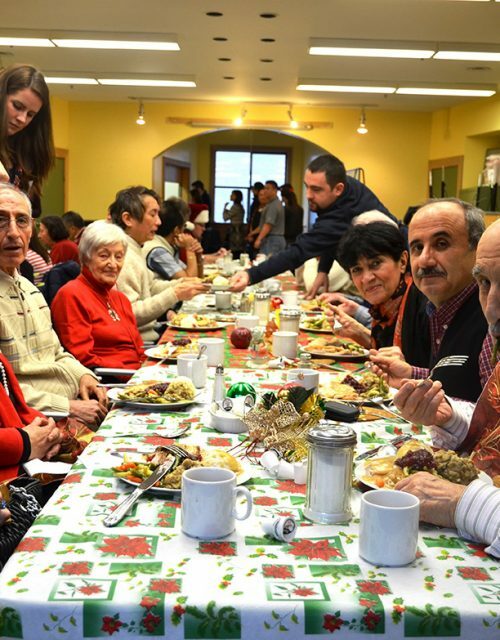 Fast forward to December, often the time of year to think about family, community and charitableness, and to celebrate the spirit of giving by making a difference in one’s community. 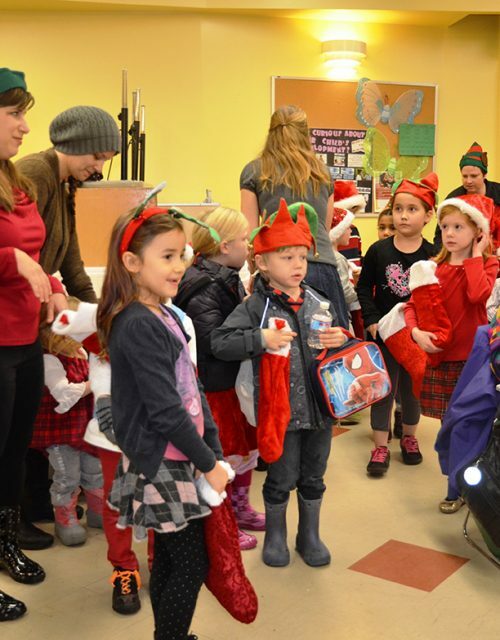 As a significant rental housing provider, Hollyburn makes tremendous efforts to contribute positively to the communities we are lucky to be a part of. 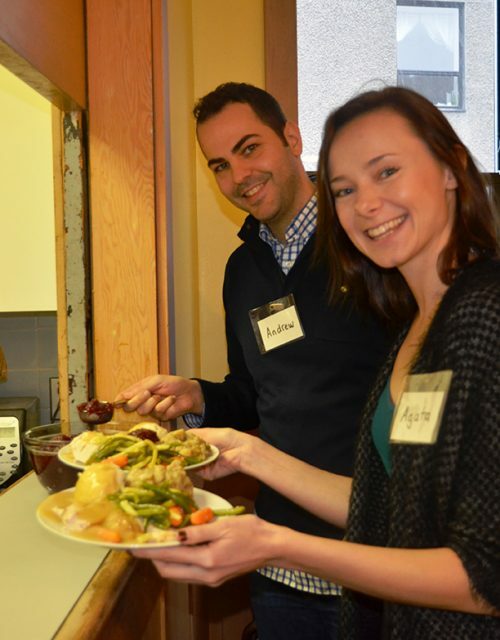 For the second year running, Hollyburn’s Head Office staff in Vancouver have dedicated a day in December to volunteer (check out our team at the Salvation Army, or the Toronto Office at the Scott Mission). 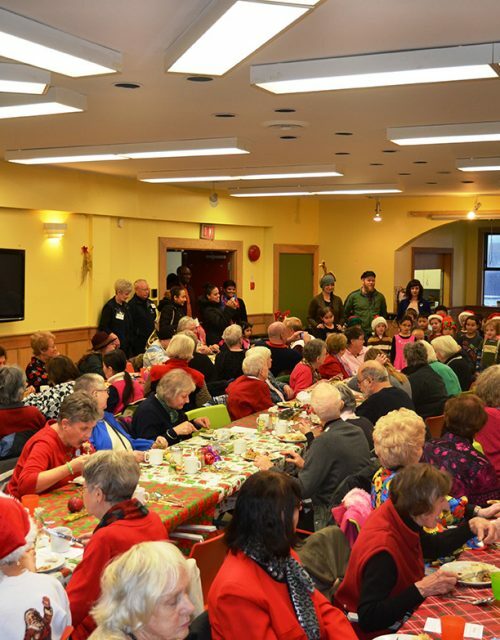 This December we were proud to be able to put on a senior’s Holiday Lunch for a group of 120 guests at GNH. 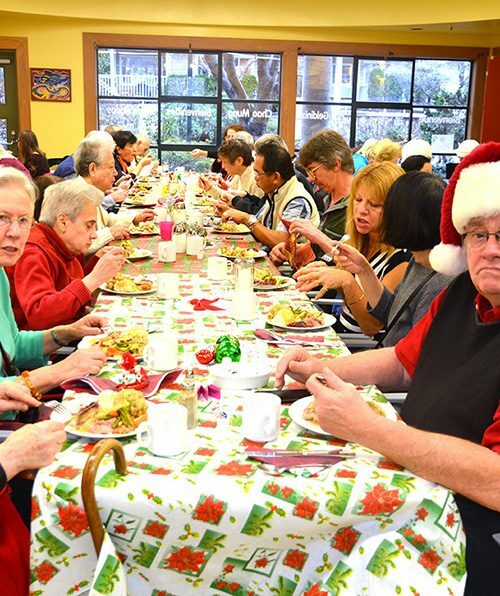 This was a special event, as many of the seniors are isolated and live alone. 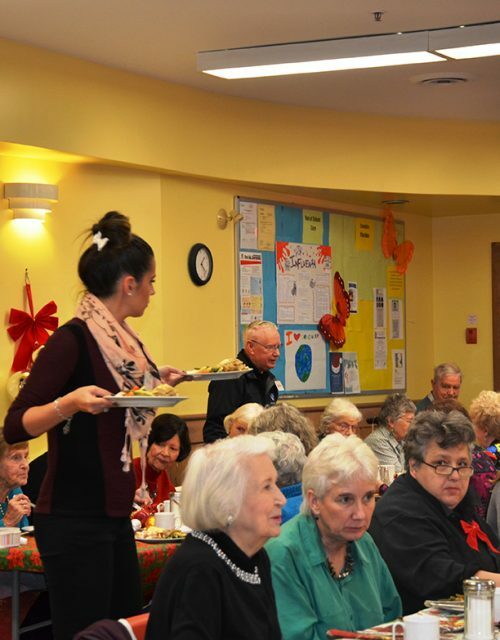 The senior’s lunch provided a complimentary full turkey meal, an opportunity to socialize, as well as several small gifts. 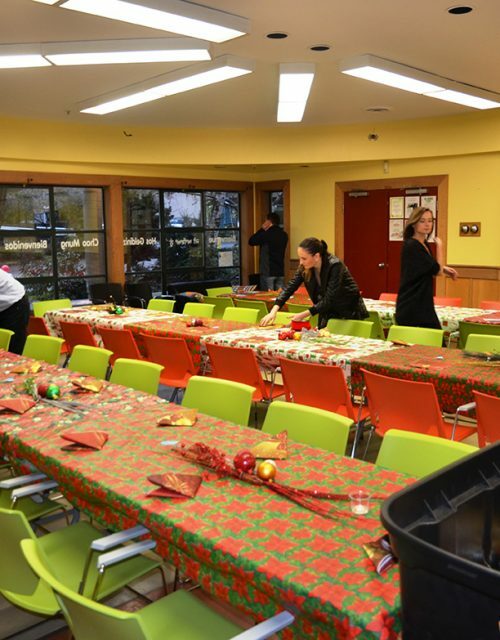 Hollyburn sponsored the meal, and our generous employees volunteered their time for event set-up, tear-down, serving, mingling and gift-giving. 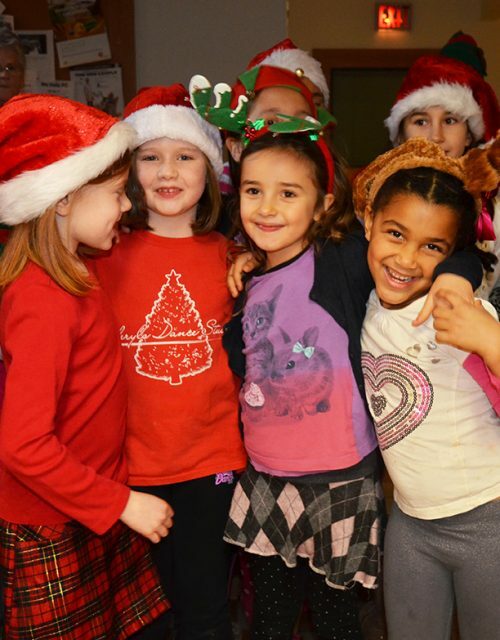 Two groups of children from Lord Roberts Elementary school sang Christmas carols, and homemade stockings filled with cards and treats were distributed to all. 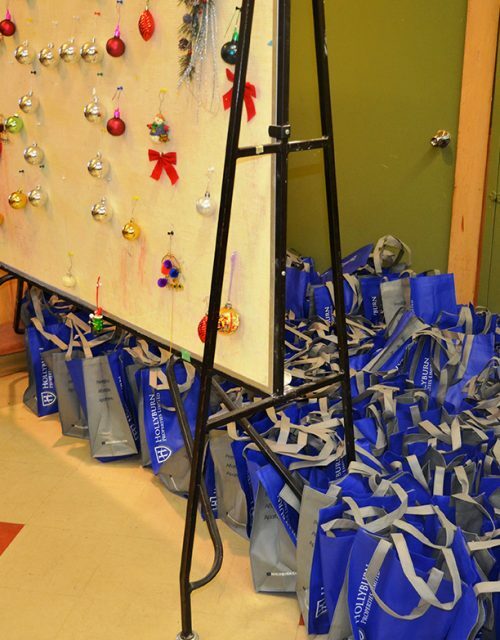 Thank you, Gordon Neighbourhood House, for allowing us to participate in the great work that takes place here year-round! We’ll be back next year! Previous Post Why Own When You Can Rent? Next Post Happy New Years Eve!